Hi everyone, I hope you have all been enjoying the remaining days of summer – personally I am ready for fall (these cold August days has me all excited lol) so naturally I have been busting out some fall colours, however today I have a beautiful summer polish to share with you all. 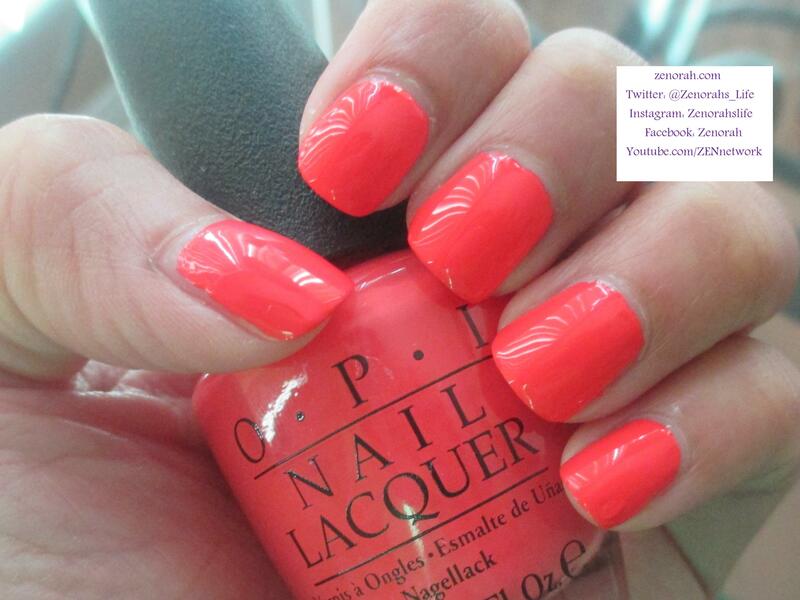 ‘OPI Live Love Carnaval’ – is gorgeous melon punchy pink-coral neon creme polish(that was quite the mouthful) and was released in OPI”s Spring 2014 Brazil Collection. If you have not checked out that collection I would highly recommend taking a closer look because a LOT of beautiful polishes hailed from it – this being one of my absolute favourites! 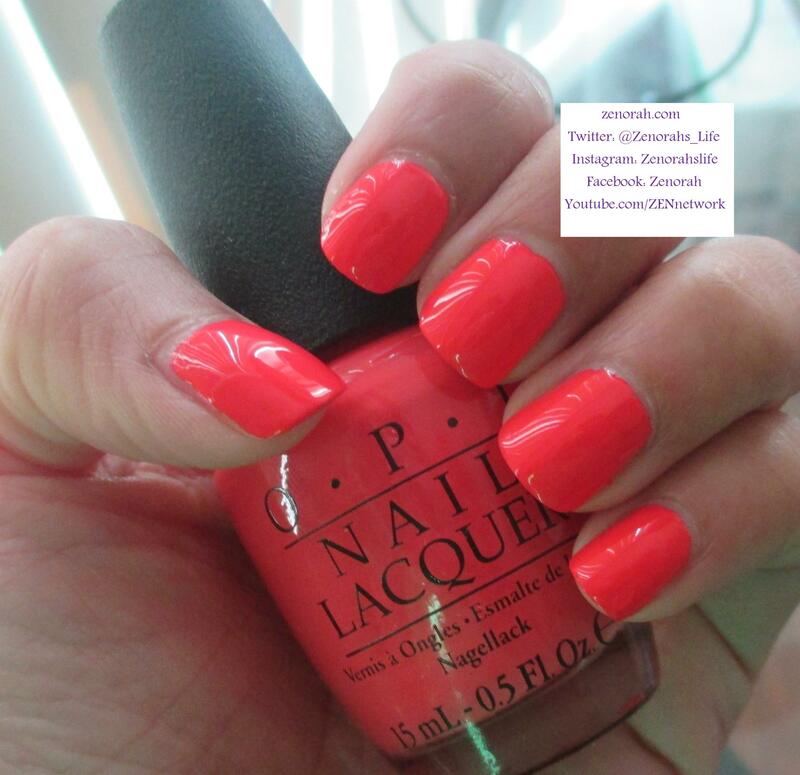 This picture was taken indoors under bright light so it does mute the colour down a slight bit, however if you love neon polishes, this is a MUST HAVE!! 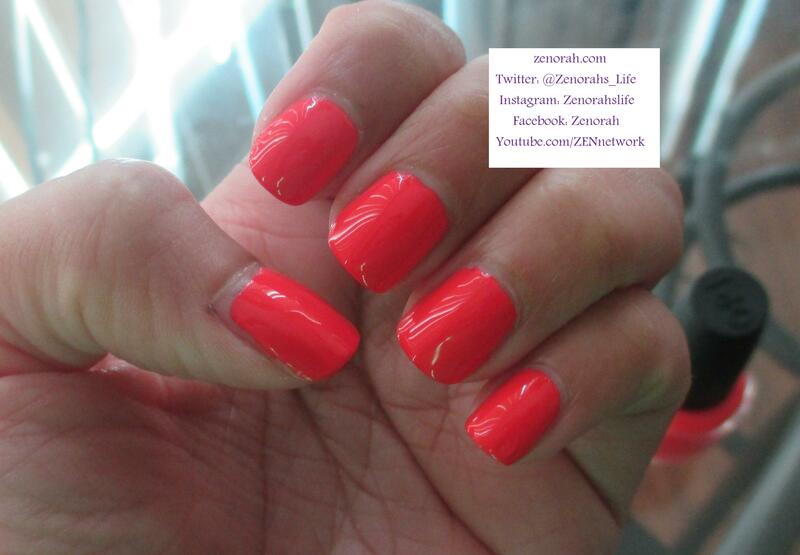 The formula was simply heaven – it was opaque on two coats, very easy to apply, no streaks and it is NEON without a white base! 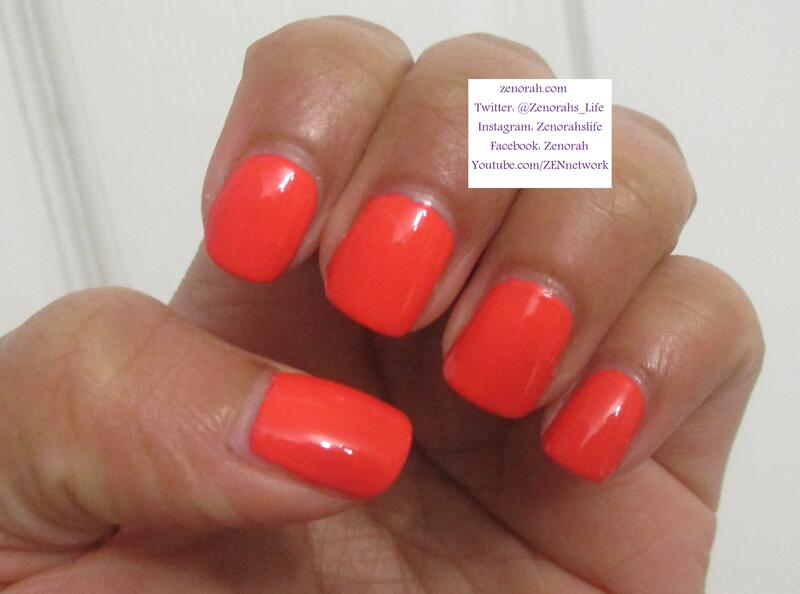 I think one of the best features of this polish as well is that it dries to a glossy finish, which I think is unique for a neon polish, as we are often use to it drying down to a semi-matte or matte formula. You can really see the high glossy finish in this picture – I love this colour so much so that I am currently wearing it as a pedicure for the second time in a row (this rarely happens)! I honestly believe you need this colour in your life if you love coral nail polish as much as I do – it’s screams pool party and beach vacation. I have three other polishes from the Brazil collection to show you and I will try to have those up before the end of summer. I LOVE everything about this polish and it gets my vote for being one of the prettiest summer polishes I have in my collection to date. PS – I have noticed that nail polish companies have increased their prices in store, I personally purchase 95% of my polishes online on NailPolishCanada.com – they are usually a dollar or two cheaper! Do you own OPI ‘Do you have this color in Stockholm? Blushes, Bronzers & Highlighters for the summer 2014! That colour is just perfect for your skin!